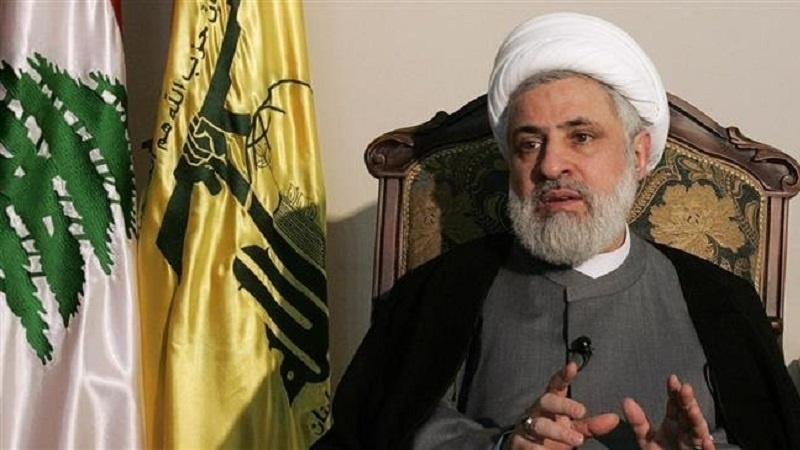 Sheikh Naim Qassem, the Deputy Secretary General of Lebanon’s Hezbollah resistance movement, has stressed that Zionist regime is not ready for a confrontation with Lebanon. “But if it wants to launch a war, we are ready,” he added. “These allegations are not important. Hezbollah considers itself part of a national unity government in Lebanon,” the cleric said. The senior Hezbollah leader noted that only three of Lebanon’s new government ministers are members of Hezbollah. “We are only 10 percent,” he said. Late in January, Lebanon’s presidency announced the formation of a new government, putting an end to a nine-month stalemate on the political stage. The breakthrough came after rival factions worked out a compromise allowing representation of Sunni lawmakers backed by the Hezbollah resistance movement. Rival political groups had been locked in disagreement over the make-up of a new government since May, after the country’s first parliamentary elections in nine years. Hezbollah has taken three cabinet posts in the new government, the largest number of portfolios it has ever held. The movement has received the health portfolio, the first time Hezbollah has controlled a ministry with a big budget. The resistance movement has chosen Jamil Jabak as the new health minister, despite the fact that he is not a member of the movement. Reports have attributed Hezbollah’s bigger role in Lebanon’s new cabinet to Syria war gains. Hezbollah forces have been assisting the Syrian government on the ground to clear areas bordering Lebanon from terrorist groups.